← Cytokine Storm – Treatment with Etanercept – Could it Stop Influenza Death? One of my patients started on Sierrasil and said there was literature on its effectiveness – it does not say that it helps pain though.. 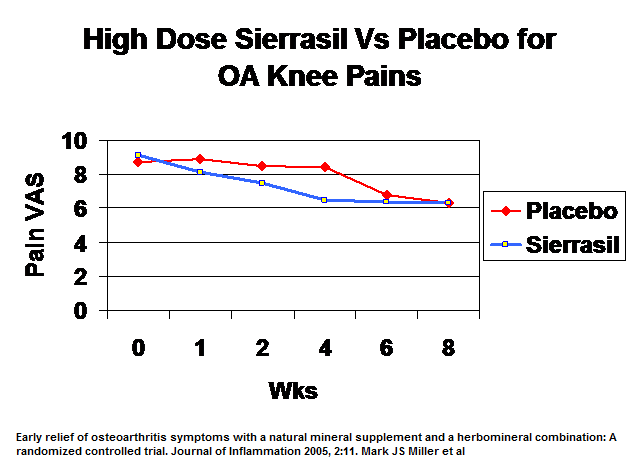 Early relief of osteoarthritis symptoms with a natural mineral supplement and a herbomineral combination: A randomized controlled trial. Journal of Inflammation 2005, 2:11. This entry was posted in Drugs, Knee. Bookmark the permalink.